E.P. 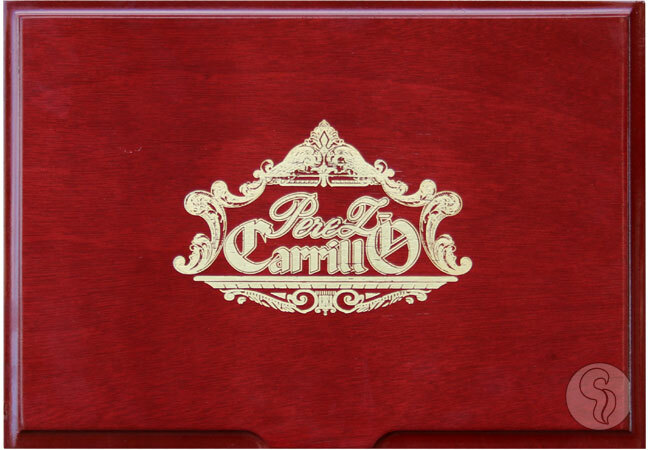 Carrillo La Historia The Carrillo family has been in the cigar industry for over 100 years, and to commemorate their long and laborious journey, EPC Cigar Co. has introduced the new Perez-Carrillo La Historia. Providing a look into the history of this great cigar family, Mr. Carrillo describes the cigar as chance to honor and celebrate the women in the Carrillo family. The cigar is decorated in a beautiful and eye-catching gold, red, and sky blue banding, making for the most attractive EPC cigar to date. For this release, La Historia will become the first EP Carrillo cigar to be box-pressed. Using a rich, espresso bean-colored wrapper of Mexican San AndrÃ©s, Sumatra binder from Ecuador, and Nicaraguan filler tobaccos, the Perez-Carrillo La Historia shows a medium-full body and a complex smoking experience. Expect to find rich, full flavors of coffee, chocolate, leather, and a sweet and creamy finish.